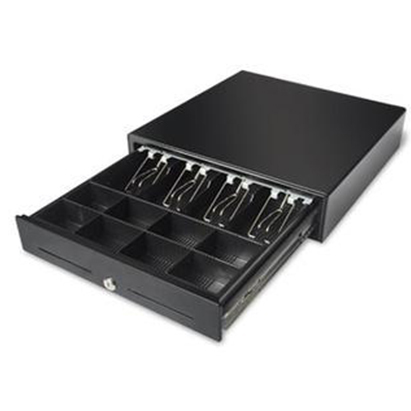 Maken VK-4101 Cash Drawer - Black, RJ11 / RJ12 Printer Kick Interface, Adjustable Bill (4) & Coin (8) Compartments, 1.5m Detachable Cable, 3 Position Integrated Keylock, Media Slot, Economical Heavy Duty Guage SteelDimensions: 410mm(W) x 420mm(D) x 100m, Retail Box , 1 year Limited Warranty. 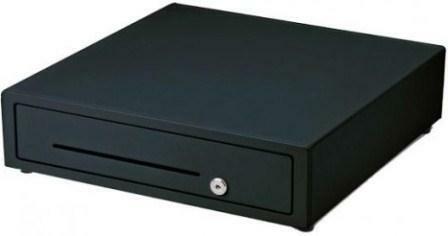 The Maken VK-4101 is a particularly well-manufactured and secure cash drawer. It is intelligently divided with 5 Configurable banknote compartments and eight coin compartments.